Born and raised in Portland, Oregon. Attended Whitman college studying economics and psychology. Completed BS in Psychology at Portland State University. Completed MA in Rehabilitation Counseling at University of Northern Colorado (CORE Accredited program). Entered the field of Vocational Rehabilitation while still an undergrad in 1976. Entered private rehabilitation practice in 1979. Became owner of Career Directions Northwest in 1981 providing vocational rehabilitation to injured workers. Trained and supervised over sixty vocational rehabilitation counselors/assistants. Initiated expert testimony in injury cases in early 1980s and became an expert under contract to US Government thereafter. Actively involved in IARP for decades. 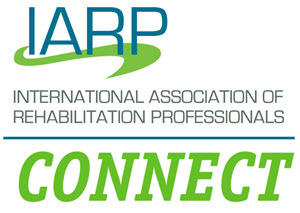 Have been President of local IARP chapter twice. National Board of Directors member with predecessor of IARP (NARPPS) representing region. Founded Social Security Vocational Expert group with IARP and SSVE listserv. Speaker on various topics at local, regional and national conferences. Published in peer reviewed journal. Practice now consists largely of vocational expert evaluation and testimony, analysis of loss of earning capacity, employability analysis and labor market research. Experienced in Workers' Compensation, Personal Injury, Professional Liability, Employment Law, Disablity, Social Security Disability, ADA, Family Law, Longshore, FELA and other cases. Experienced in analysis of loss of household services. Provides vocational testing. Oregon Licensed Professional Counselor (LPC). Board Certified Vocational Expert (D/ABVE). CRC, CDMS.